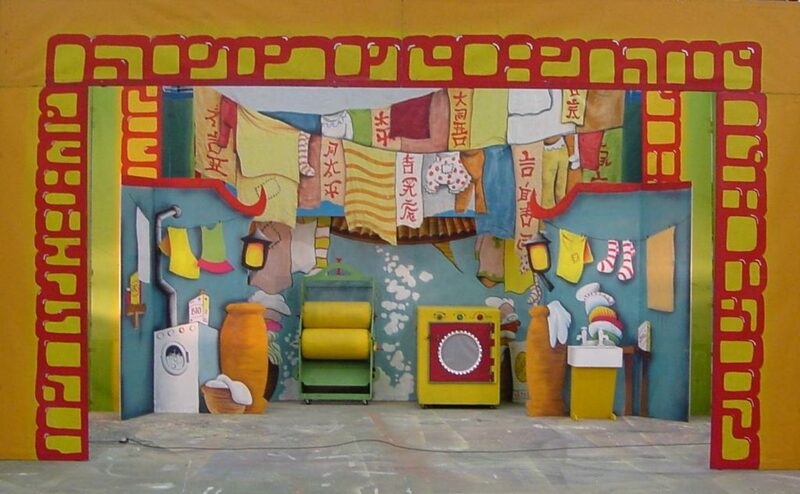 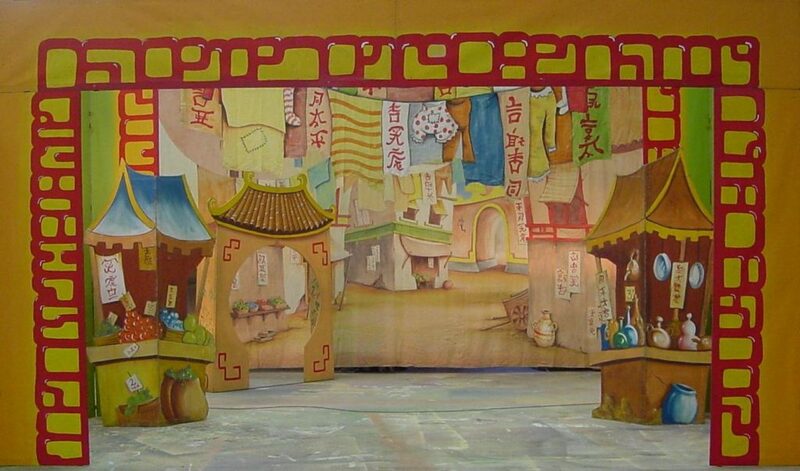 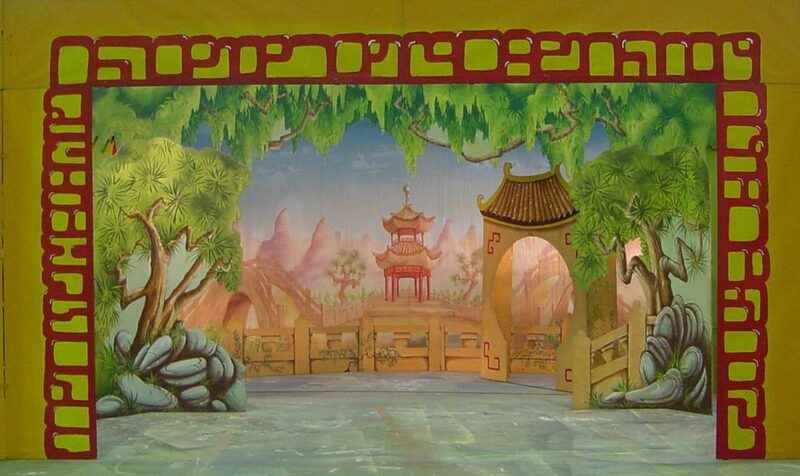 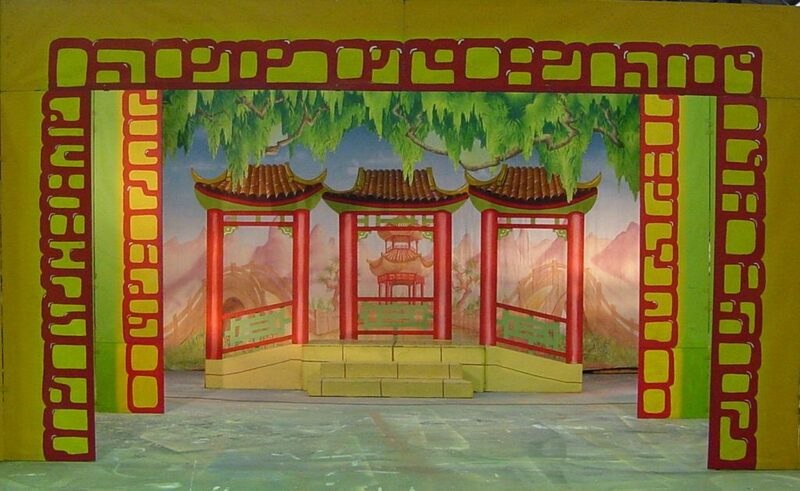 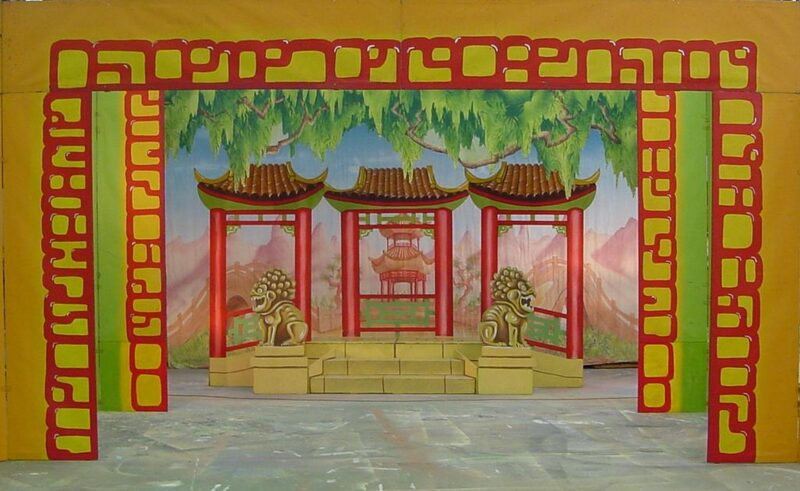 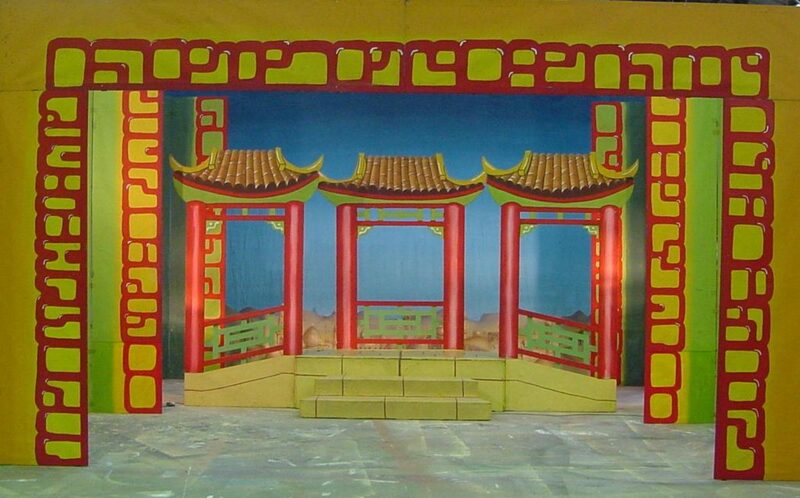 Travel to old Peking with the merest rub of your magic lamp with this very traditional of Panto sets. 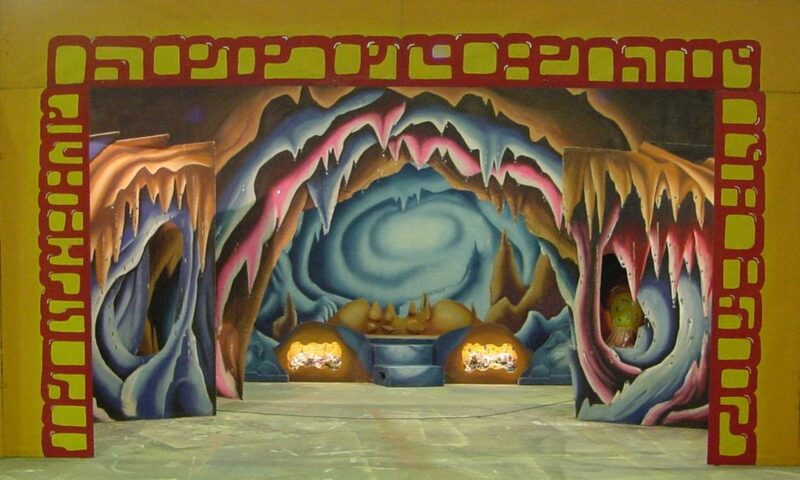 Mainly relying on Flown Frenchmen, it comes with Aladdin’s Flying Palace, The Emperor’s Palace, Twankey’s Laundry with machine and mangle, Peking Town, a walk down Finale, Abanazar’s Lair as well as a magical jewelled transforming cave. 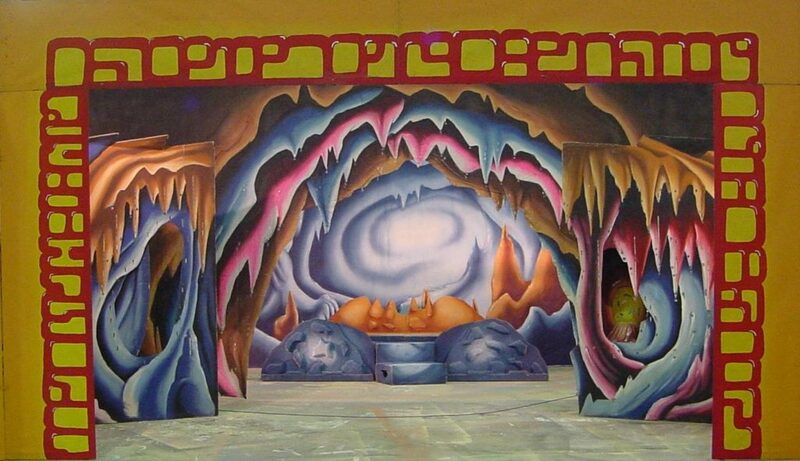 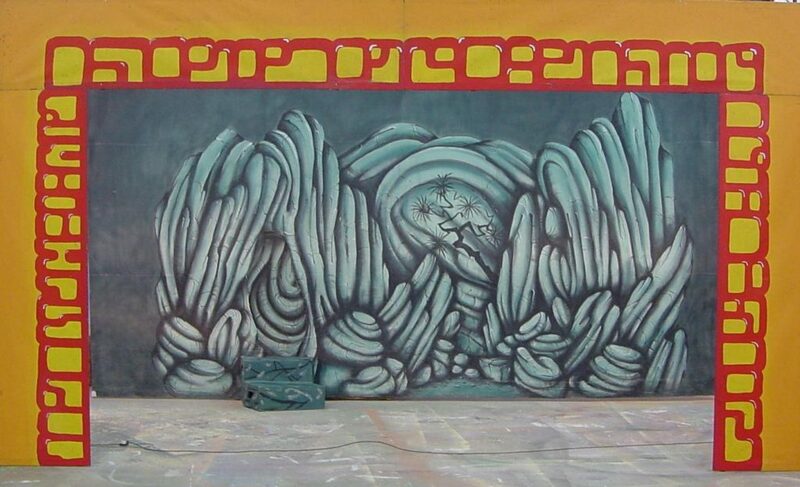 We have a manually operated Magic Carpet which can be used as a UV effect or with projected images if preferred.